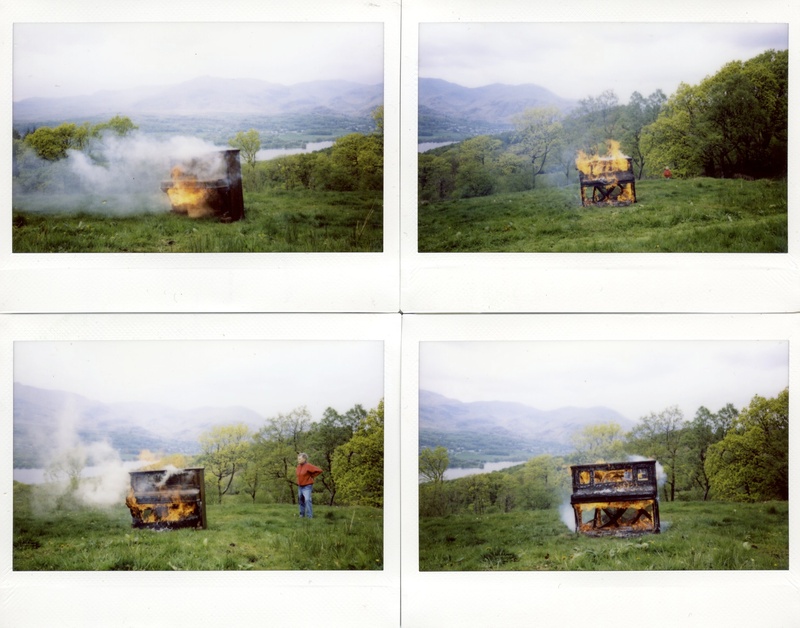 ANCIENT & MODERN presented ‘Piano Burning 2 (2012, Coniston)’ by Annea Lockwood (b. 1939, New Zealand) at Grizedale Arts in the Lake District on Friday 18 May. 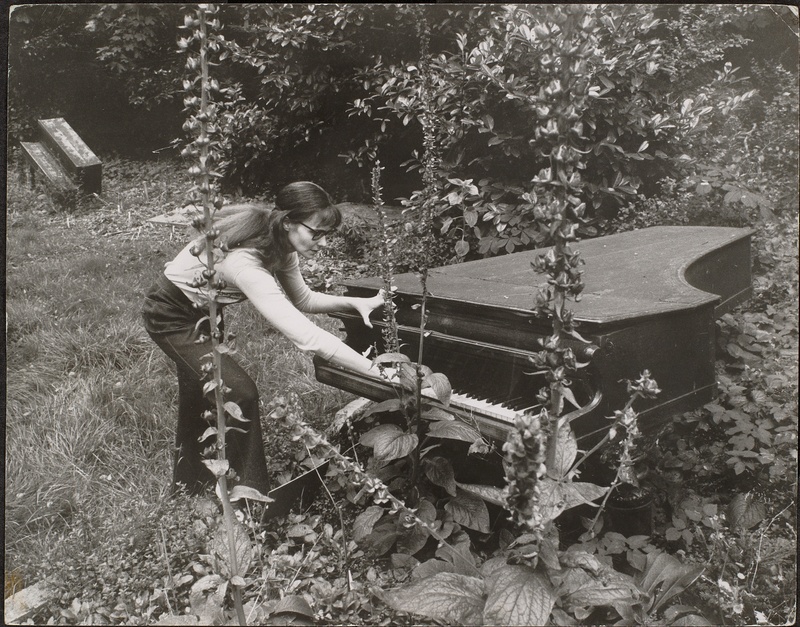 From 1968 – 1983, Lockwood created a series of “Piano Transplants” in which she placed pianos in specific locations that would somehow alter their physical states: Piano Burning (1968, London), Piano garden (1969-70, ingatestone), Piano Drowning 1 (1972, Amarillo), and Piano Drowning 2 (1982, Rimini). Lockwood took the instrument – as well as its implied and potential sonorities – out of the conventional concert hall context: the pianos required no musicians, but were instead played by the environment within which they were directly situated. The instrument and the forces of nature – soil and growth of vegetation, waves and immersion in the depths of bodies of water, fire licking across its hammers and strings – produced the sounds of their own location as interpreted and emitted by the autonomous and solitary instrument.